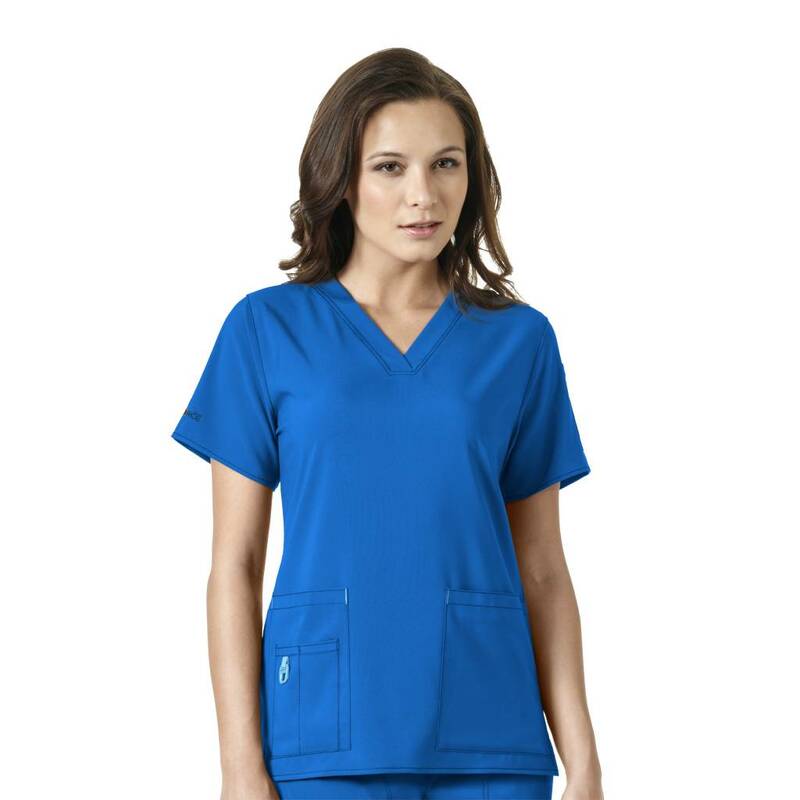 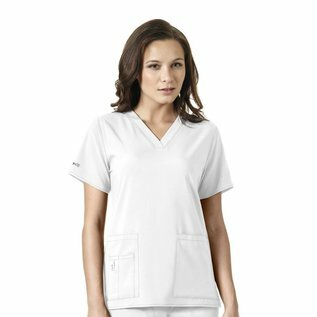 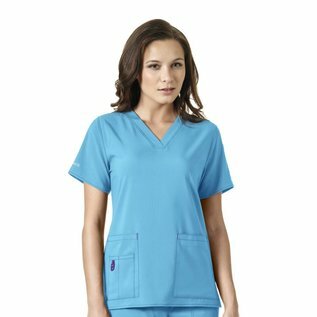 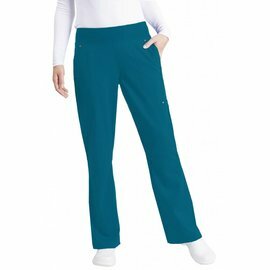 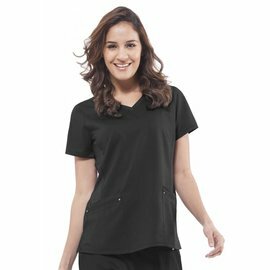 This stretch V-neck media scrub top from Carhartt looks great in gorgeous rich colors while working as hard as you. 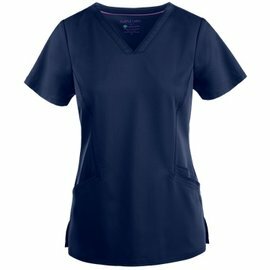 The 12110 is made of innovative Cross-Flex fabric that wicks away sweat to keep you dry, releases stains to keep you looking fresh and bright and stretches with you to keep you comfortable. It has two patch pockets, one with an interior cell phone pocket and one layered with a divided pocket with badge loop. 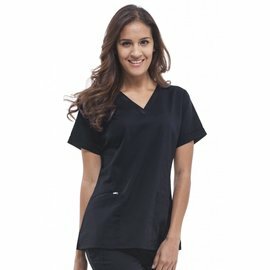 There is a unique slot in the neckline to hold your earbuds and there's a handy double pocket on the sleeve. It even has a locker loop for easy hanging and triple needle stitching to reinforce the shoulder seams.